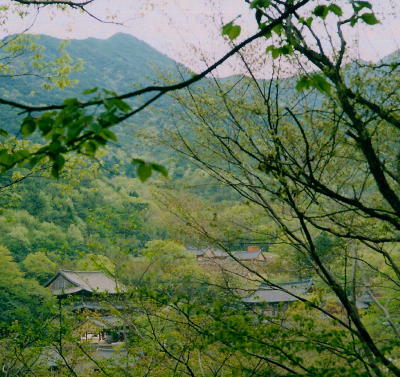 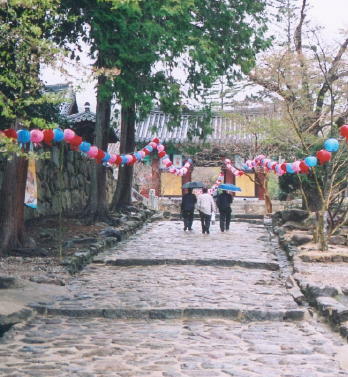 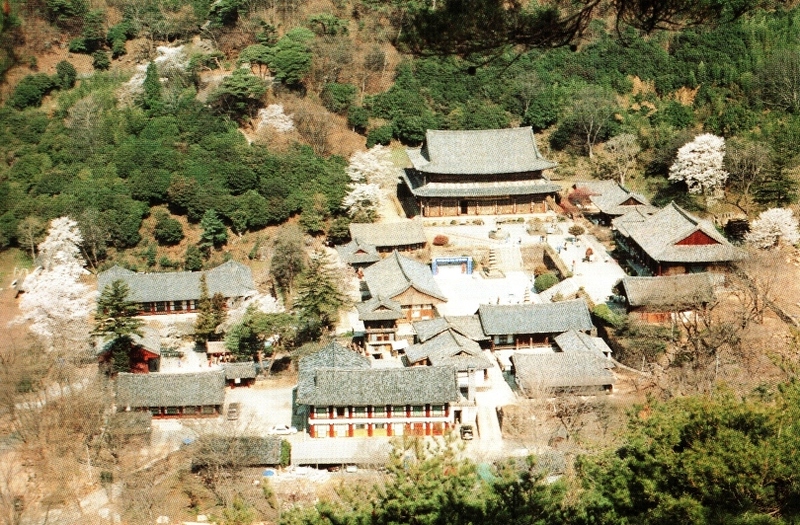 with a building of Geumjeong-am Hermitage visible. 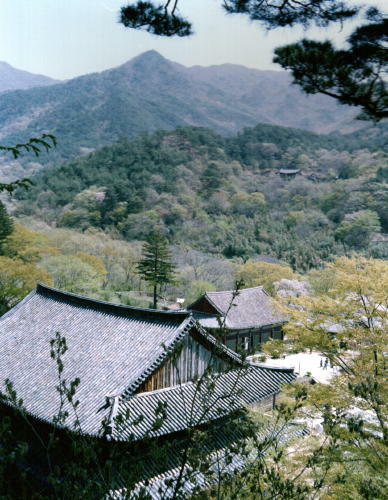 trees, with Seongsam-bong Peak in the distance. 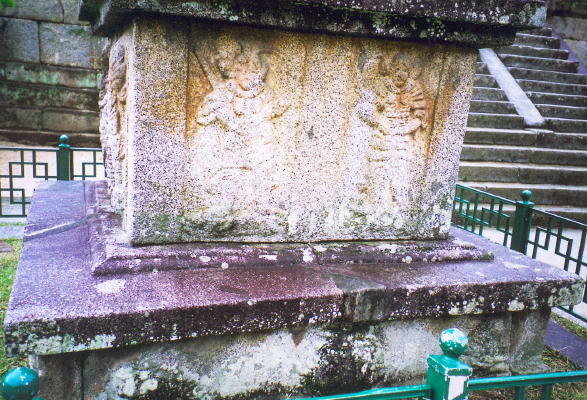 important scriptures of doctrinal Buddhism. 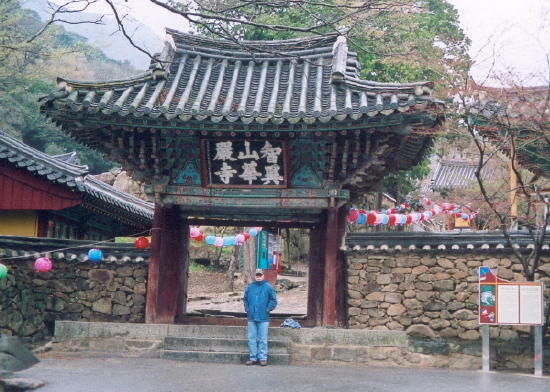 It was founded in 544 by a missionary-monk named Yeon-gi-josa, who may have come from India. 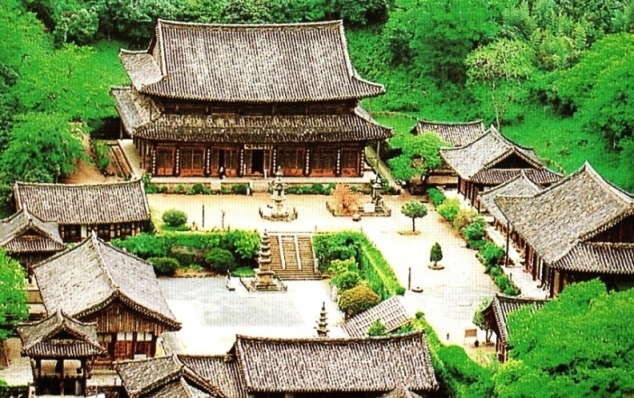 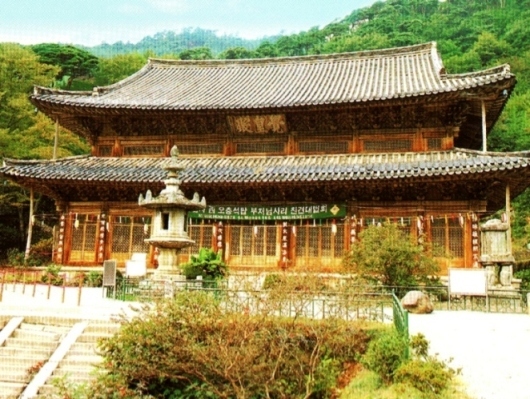 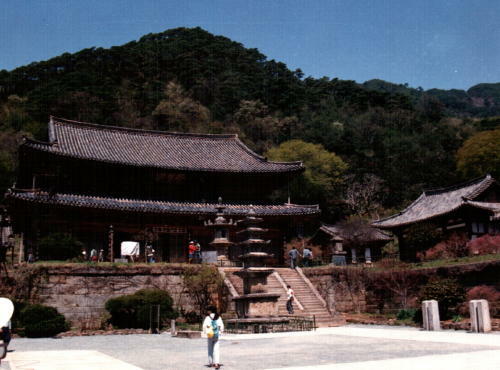 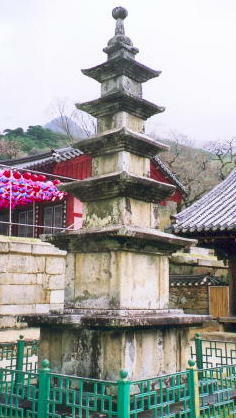 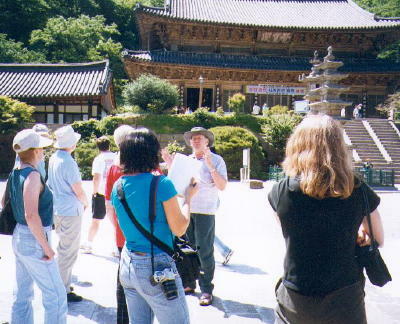 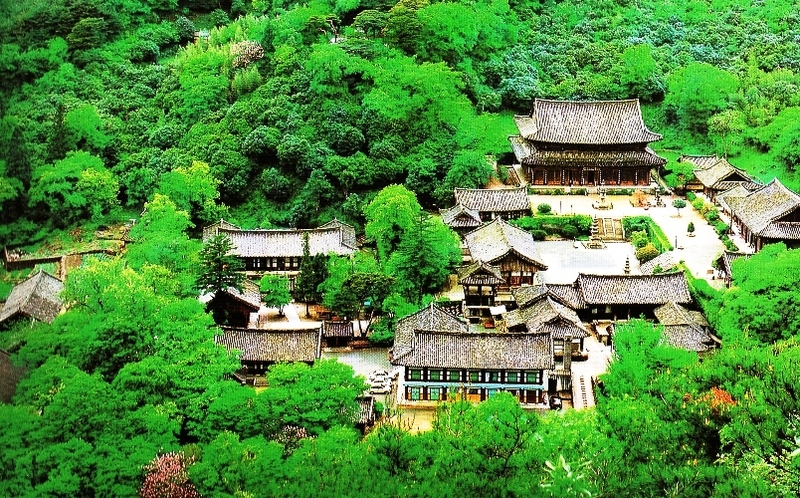 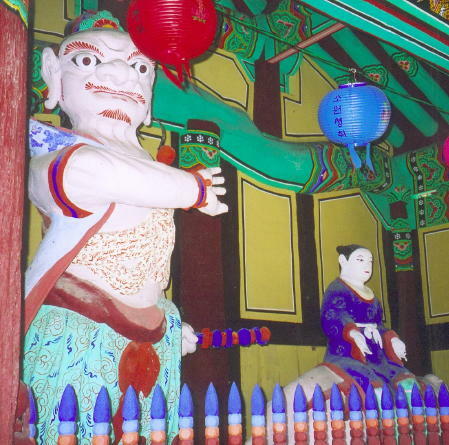 in excellent condition, and it has always remained one of Korea's most prestigious temples. 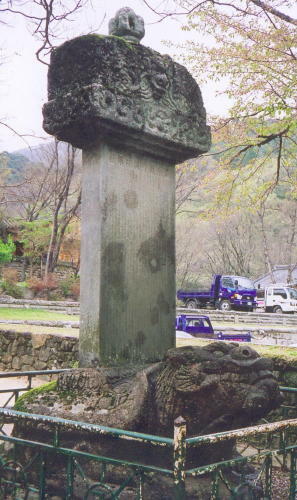 right (where the San-shin painting is enshrined). 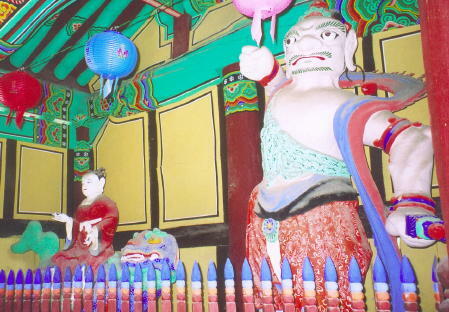 Bohyeon-bosal [Benevolent Action] on the right. 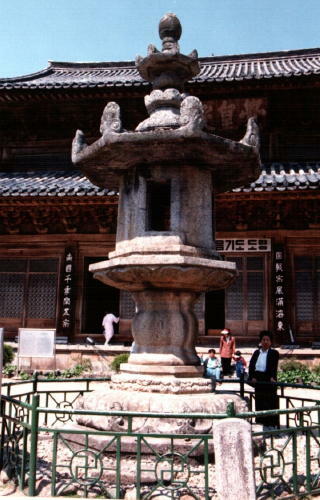 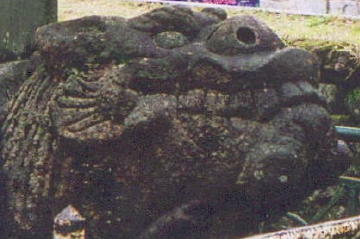 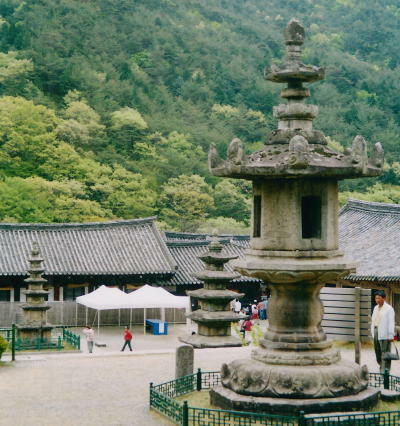 they were designed by Doseon-daesa for Pungsu-jiri purposes in the late 9th Century. 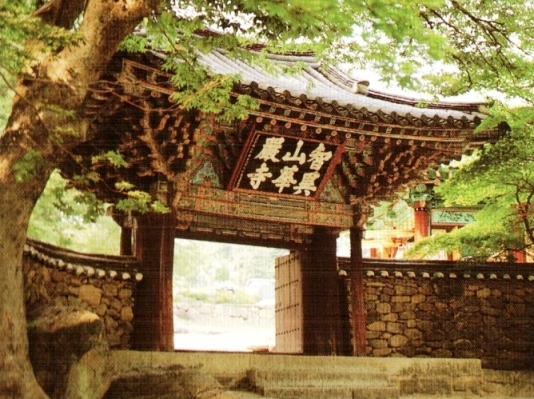 Hwaeom-sa for the R.A.S. 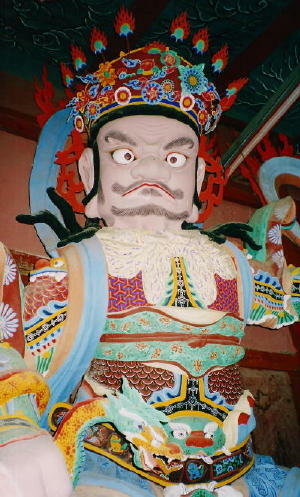 in May 2001.
himself -- compare with the other case, on what may be his reliquary at Yeongok-sa.